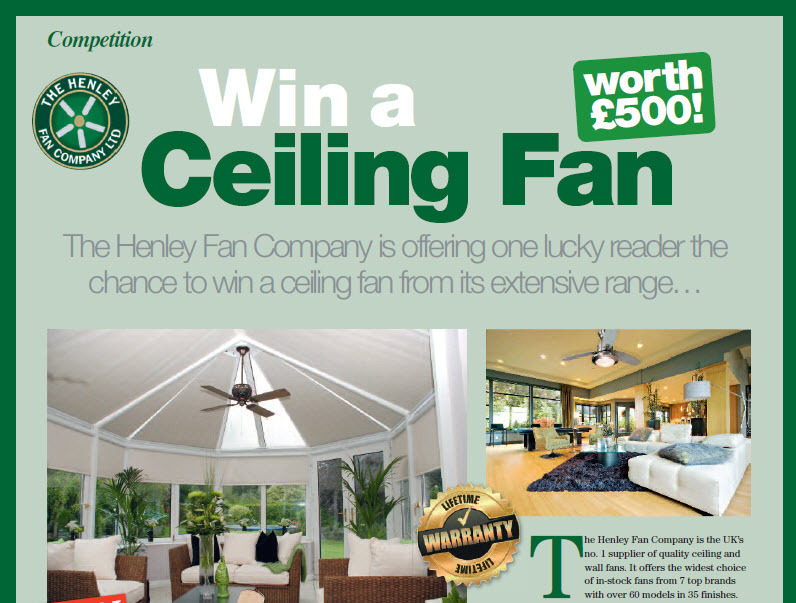 Win a Hunter Lemoyne Ceiling Fan Worth £500! 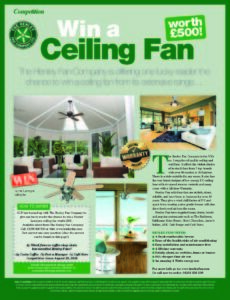 The Henley Fan Company has teamed up with the UK’s leading conservatory trade magazine Glass & Glazing Products to offer readers the chance to win a brand new Hunter Lemoyne ceiling fan in brushed nickel finish with 5 maple blades and integral light kit. No purchase is necessary if you would like to enter simply click on the image to the right to open the page up as a pdf, read it and then send an email with “GGP Competition” in the subject line to sales@henleyfan.com with your answer to the question given. The closing date is 29th August 2016. 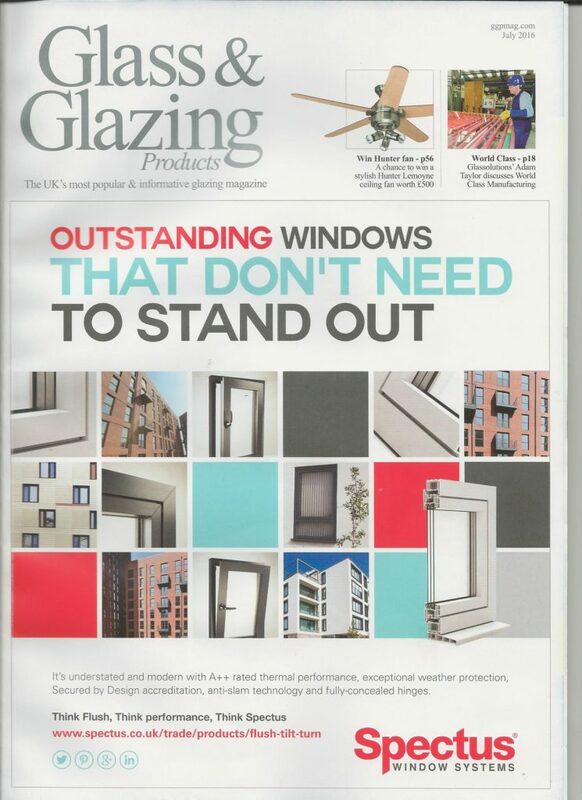 We will announce the lucky winner in September on this blog. The competition also shows room scenes from the Hunter Soho fan in a modern lounge and the Hunter 1886 Series fan in a conservatory from the popular ITV 60 Minute Makeover programme from an episode set in Altrincham (we have been featured in no less than 20 episodes over the years). This heavy solid fan is made from cast iron and can be found in many Cafe Nero restaurants around the country, so if you wish to see one they are easy to find. At the bottom is the beautiful Lucci Beacon Woody ceiling fan from Australia set in a dining room by the sea. The Woody is a very low energy DC fan with ash blades with a 11,000 m3/h airflow suitable for use outside by the sea where the salty air would normally very quickly destroy a regular fan. It is one of the most efficient fans on the market and perfect for those summer holiday apartments in the Mediterranean.